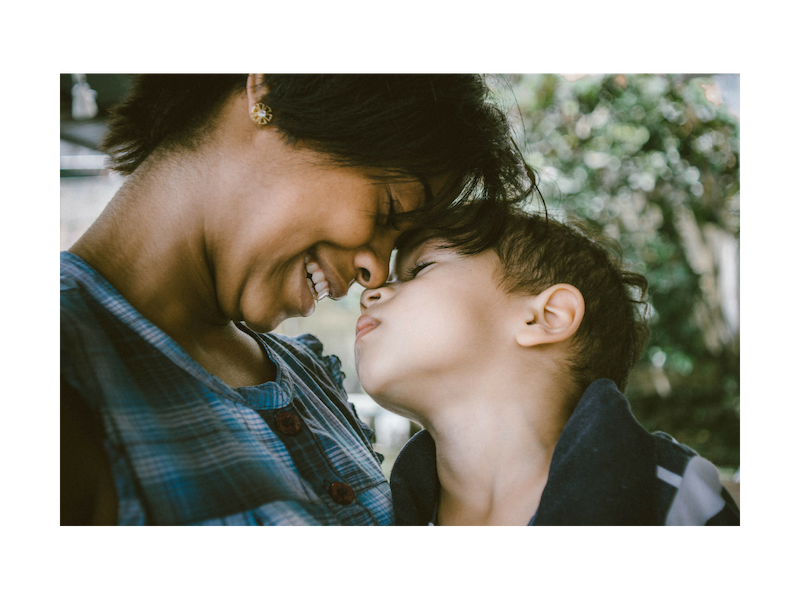 Mothercraft in Toronto secured funding for several sites across Canada to fly to Toronto to receive training for a program called Building Connections, which supports moms who are experiencing interpersonal violence and who are dealing with substance abuse. Jenn, with CPNP and I, the Community Action Program for Children (CAPC) Site Coordinator for Cranbrook flew to Toronto in February 2018. Even before flying to Toronto, Jenn and I felt well supported. Naomi, one of the researchers from Mothercraft, flew to Cranbrook to meet with us and see the site where Building Connections was going to be hosted after the training as well as to answer questions. Flights, taxis, food, hotel – everything Jenn and I could possibly need to participate was taken care of by the supportive staff at Mothercraft. At the training there was an opportunity to learn about providing the Building Connections program, using a trauma informed lens. It was interesting being on site at Mothercraft to meet the facilitators, see the facility and meet community partners as well as making connections with staff from other sites across Canada who were participating in the training. Everyone at the training in Toronto received an IPad to use at the workshops so participants can fill out surveys that are received directly by the research team of Mothercraft. The Building Connections Workbook is laid out very well and easy to follow. Back in Cranbrook, Jenn and I thought carefully which moms to invite for the first Building Connections Group and how many moms to invite. An important consideration in the decision making was the compatibility of the group. A time had to be found that worked for both facilitators as well as childcare staff. To ensure that parents can focus on group and the children don’t get affected by the parent’s emotional reaction to some of the content, all children, including infants needed to be in the childcare room. Due to availability, the group was held from 2-4pm on a Friday afternoon, so rather than providing a full meal, a special snack was served each week. The group started in the middle of May until the end of June for a total of eight weeks to have time for plenty of discussion and to be able to respond to requests by the participants. Seven moms signed up. Four moms continued to the end of the group. This group of moms was very engaged and supportive of each other. They had the idea to work on a Dream Board for our last group to walk away with something tangible to envision a better future for them and their children which showed how invested they felt in the goals they wanted to reach. It felt proactive to have an opportunity to work with a curriculum that is based on working on a brighter future. The participants felt empowered with the new knowledge they gained on child development, learning about healthy and unhealthy relationships and how relationships affect their children. Building self-esteem in their children and themselves were also important subjects that will benefit the moms in all areas of their lives. The moms gave very positive feedback and their commitment and ongoing involvement reflected their high interest in the topics that were explored each week. Mothercraft sets an example of treating each member of the team and each participant with high respect and consideration for their unique situation. In the implementation of Building Connections, the same respect, care and consideration was taken. In our conversation with Niki and Jenn, they commented that their biggest fear going into the training was that the training would be hard and depressing, but they were encouraged to find in the training that the material is very constructive about how to work within the “now” and set goals to work on, rather than focusing on the past. Jenn has had a long experience of working with women who have experienced violence, and was excited to be able to access new training and tools to support the work. Both Niki and Jenn shared about how amazing the training was, and how It felt to experience personally being recipients of the caring approach Mothercraft take with all their participants. All the trainees stayed in the same hotel for the one week (Monday to Friday) training. The hotel was centrally located, opposite the Eaton Centre, with access to a washer and drier in each room. Some of the trainees had not been in a big city before and were uncomfortable finding their way around. If they were unsure about using public transit, Mothercraft would arrange transportation for them to and from the training sessions. The material with which they were trained is “ready to go” for an experienced facilitator. Mothercraft recommend using the manual as set with the first group, and then encourage programs to customize it to their particular setting as they get used to using it. There is also an Aboriginal version of the manual provided. Mothercraft also offers a videoconference session once a week to check in with sites who are looking to connect with others to share and receive feedback about the groups. Phone or e-mail support is also available any time. Since completing the training, they have just finished their first group series, which involves an interview process with potential candidates, eight weeks of group time, and pre- and post-surveys. When we spoke, they were just recruiting a new group to start the following week. They did not have to advertise to start out. The participants for their first group were hand-picked from participants already know to them through other programs. Working in familiar surroundings, with facilitators who were already known and trusted, helped participants to feel comfortable that their confidentiality would be respected. Knowing other participants in the group helped people feel safer than sharing their lives amongst strangers. There was a sense of safety and security in the group. A helpful outcome of being in a small community also was that individuals had had different experiences with local community agencies and were able to share knowledge and recommendations with each other. The Mothercraft Building Connections: Supporting Community-Based Programs to Address Interpersonal Violence and Child Maltreatment Manual, featured in the January 5, 2018 edition of the Keeping in Touch newsletter, https://www.keepingintouchbc.com/blog/2018/1/3/mothercraft-building-connections-manual?rq=Mothercraft is available to programs at https://www.surveymonkey.com/r/BuildingConnections1 by completing the 10-minute pre-webinar survey for the online Building Connections training webinar.